This year, the International’s Legislative and Political Action Department committed its resources to reaching out to thousands of members of our union family at their homes, worksites and through texts, digital ads and member-specific mail so that the voices of the hard-working women and men we represent were heard loud and clear during the midterm elections. In addition to campaign contributions, the Legislative and Political Action Department invested resources in 157 races. Ninety-five of those races were won and three races are still in runoffs or recounts. Our union supported candidates up and down the ballot from the U.S. Senate to County Commission races. These were competitive races that needed investments to win, and the candidate we supported in one race in Kentucky won by just one vote. Our union also invested in five ballot initiatives, all of which were successful. 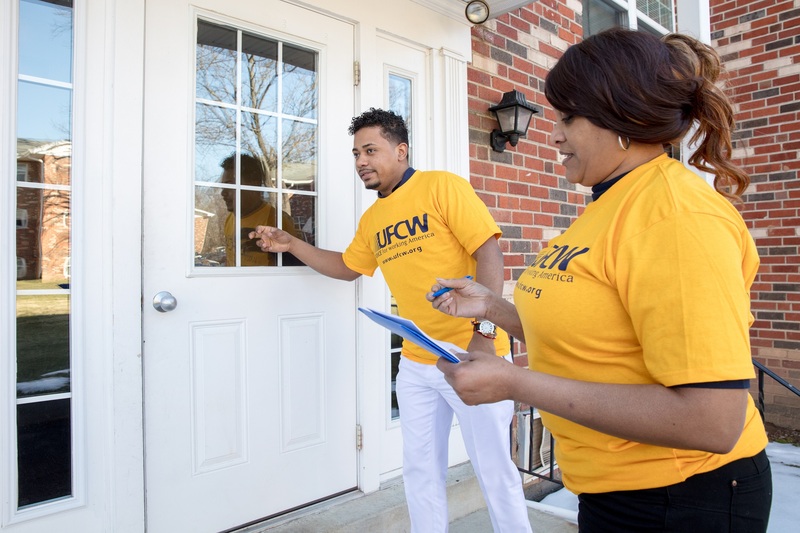 Our 190 member organizers had 20,805 worksite conversations, knocked on 68,952 of our members’ doors and had 9,729 door conversations. In Arizona, with IE partners and the AFL-CIO, we knocked 44,343 doors and had 11,513 conversations with union and community members. Overall, we contributed 5,958 door and phone shifts in the AFL-CIO’s program on top of the robust internal program we ran reaching our members directly. The Legislative and Political Action Department also used the Hustle app to reach our members this election cycle. The cell phone numbers collected during conversations with our members will be used to complement the other work that we do year-round to support our union family. For more information about our union’s mobilization efforts in 2019 and 2020, contact your political coordinator. If your local is interested in learning more about reaching members through the Hustle app, contact Moira Bulloch at mbulloch@ufcw.org.